Sad to see VP19 go for scrap, will never forget that bus. It was the first ever road vehicle I have driven in my life . Also surprised 610 has gone to Barnsley, that was the last OmniTown in service, and was in pretty good condition when I had it on the final day of the 181 at MB so hope it makes it out there alive. Also sad to see ex Metrobus 278 and London United TLA3/4 go for scrap. How come you got to drive VP19? Correct . Took it for a spin round the yard of Camberwell last March since you can drive without a licence on private land. Of course, there was one of Go-Ahead's most experienced instructors by my side, but I managed to park it in one piece. Will never forget that experience... The fact I drove a double decker bus before a car (drove a car for the first time in August) is also pretty amazing. I've never driven a car but I have driven a Bristol VR, Leyland National, Scania Metropolitan, MCW Metroliner, D78 tube stock, Tyne and Wear Metro train, have pressed the start buttons on 67 stock and driven an Oslo tram. Oh and several motorbikes but I did pass my test to do that. Ah well, there go the Green Tridents. I suppose it was always unlikely there'd be any takers for them given the glut of ex-London DDs on the market. And who'd have thought it, SLE57 going all the way to Georgia! From Go-Ahead London: Volvo B7TL’s LX03EEJ, LX06DYS/DYT/DYW/DYY/DZB/DZE/DZG/DZH/DZJ/DZL/DZN, LX11CVN/CWL/CVV/CVZ/CWM/CWN/CWP/CWT/CWO/CVP/CVR; Scania YN07EXF; Dart AE56OUO. From Emsworth and District: Darts HW54BUV/BUO. 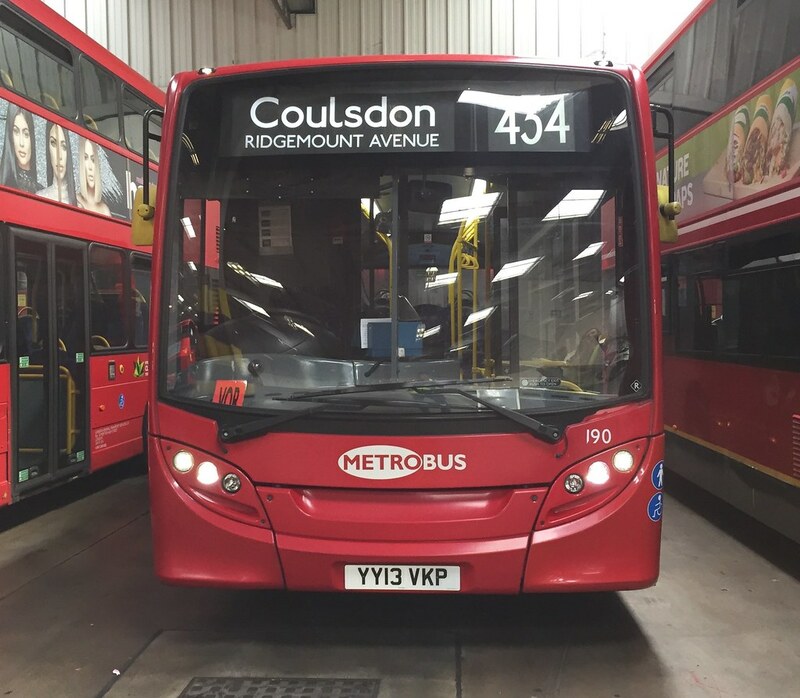 From Metroline: Enviro 200’s YX09FKY/FLA/FLE/FLG/AEY/AEV/AFK/AFF/ AFA/AEZ/FLL/FLJ. From RATP London: Tridents SN51SZC, LG02FBB/FBC/FBE. Scanias YN06JXR, YM55SWU; Dart HW54BUO: Galleon Travel, Roydon, Essex. Enviro 200 LX07BYM: National Driving School, Croydon. DAF HF05LYW; Dart EU53PYH; Volvo B7TL LJ03MPX: Hardwicks, Barnsley. Volvo LX03EEH: ImpactJungle LDA, Maia Castelo Da Maia, Portugal. Scanias YN53RZC/RZE/RYA: MyWork Bus , Peterborough. Scania YN54AJV: Fargo Coaches, Bracknell. Volvo B7TL LX03EEB: JD Travel, Oxford. Scania YN06JXS: Stephensons of Essex. Volvo B7TL LX53BEY: Direct Construction Services, Brighton. Volvo B7L LX06DYU: Als Coaches, Birkenhead. Volvo B7TL LJ53BDE: Mike Lawrenson, Preston. Volvo B7TL LX06DYT; Enviro 200 YX09AFK: Meritrule, Kingswood, Surrey. Volvo B9TL’s LX11CWJ/CWE/CWG/CWD/CWC/CWL/CVO: Tyrers Coaches, Adlington, Lancs. Volvo B12M AO02RCU: Deckerbus, Peterborough. Volvo B7TL LX06DZC: Red RM, Brentford. Olympian P757SWC: Talita de Souza Barbosa, Viana do Castelo, Portugal. Enviro 200 YX09AFF: Bear Buses, Feltham, Middx. Trident V305KGW: Carters Coaches, Northampton. Scania YV03RBU: Dearnsdale Fruit, Stafford. Solo YJ13HKX: Faresaver, Chippenham, Wilts. Volvo B7TL LX03EEJ: Commercial Church Of God, London N15. Scania YN55NLJ: Qualiti Conversions, Southampton. Volvo B7TL’s LX53BAA/BBZ into fleet as 102/103. Sorry for the delay, just got back from holiday. From Tower Transit : E400s SN11BML / BMV / BMU / BMY / BNA / BNB / BND / BNE / BNF / BNJ / BNK / BNL / BNO / BNU / BNV / BNX / BNY / BNZ / BOF / BOH / BOJ / BOU / BOV / BPE / BPF. From Meritrule : Volvo B12M AO02RBZ Volvo B7TL LX06DYT. From Brighton and Hove : Scania HF08UHT. From Blue Bus : Solo WK11AOZ. From WB Chambers : Dart Y331FJN. Volvo B7TLs HJ02HFD / HFF : Red Rose Travel, Aylesbury. Dart EU53PXZ : Mr Coffee Ltd, London E1. Volvo B7TL Y411CFX : Qualiti Conversions, Southampton. Volvo B7TLs LX06DZL / DZM : Moffat and Williamson, Glenrothes, Fife. Volvo B7TL LJ54BCZ : Rose Line Productions, Leavesden, Herts..
Volvo B7TL Y413CFX : Fowlers Coaches, Holbeach Drove, Lincs. Volvo B7TL LF52TGO : Seaford and District. Enviro 200s YX09FLA / FLE / AEZ : Panther Travel , Manningtree, Essex. Dart AE56OUO : Faresaver, Chippenham, Wilts. RML2722 : Lodge Coaches, High Easter, Essex. Scania’s YN07EYW / EYU / EYR / EYO : Tyrers, Adlington, Lancs. Volvo B7TL BX54DJF : Sleafordian, Sleaford, Lincs. Volvo B7TL LX06DYT : Wagon Wheels Ltd, Amersham. Darts LX06FAU / FBA : Nu-Venture, Maidstone. Volvo B12M AO02RBZ : Mike Lawrenson, Preston. Scanias YN07EYT / EYP : Flagfinders, Braintree. Volvo B9TL LX11CVT : Vision Bus, Bolton. RM1527 : Peter Comfort, Basingstoke. Enviro 400 SN11BNJ : Gozo Coaches, Malta. Volvo B7TL LF52ZPE : Axe Valley Coaches, Seaton, Devon. Scania YN53RYW : Hornsby Coaches, Sc**thorpe, Lincs. Scania’s YN55NLL / NLM : Dartline, Exeter. Trident LX03BXM : First Bus Stop, Gravesend. Volvo B7TL : Mr P Lee, Huntingdon, Cambs. Trident LX03BXW : Applegate Coaches, Berkely, Gloucester. Scania’s YN55NLD / NKR : Connexions Buses, Harrogate..
Trident SN51SYS : Gloucester Minibus. Enviro 400s SN11BMY / BNB / BNF / BNK / BNO / BNU / BNZ / BOF / BOH / BOJ / BOU / BOV / BPE : Go-Ahead London. Volvo B7TL’s LK04CSY / CSZ / UWT / CVT / CVD / CSF / CRJ / CTE LK53LYP / LXX / LXV LK03GME LF52ZPM / ZPO LX53BFK Tridents LG02FBJ / FAK LX03NGN DAF SB120 LF52TKT Scania YN53RYC All to Shelton Motors for scrap. Good to see RM1527 (star of EastEnders in the 1990s/2000s) and RML2722 go to good homes. From Metroline : Volvo B7TL’s LK04UXG / CVN / LK53LXY. 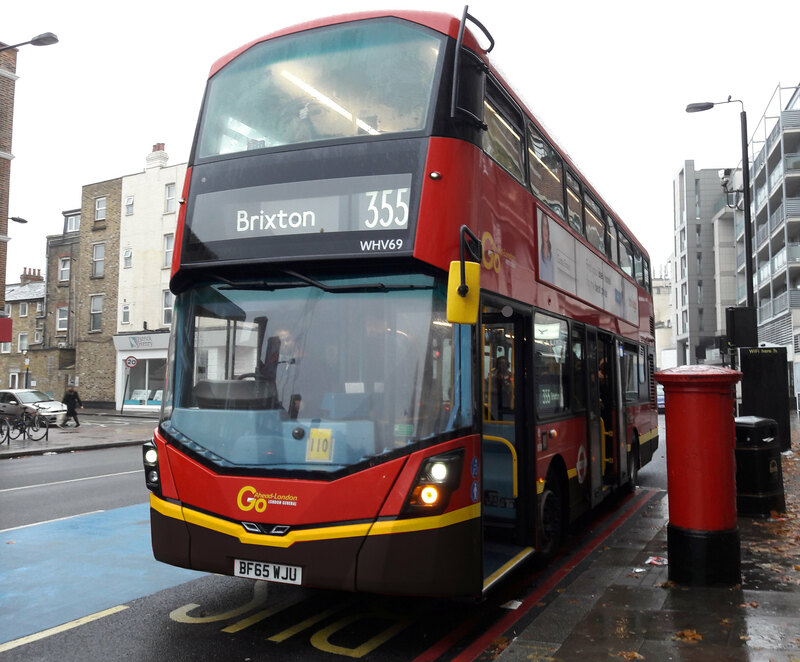 From Go-Ahead London : Volvo B9TL’s LX60DWY / DXF / DXG / DXJ / DXR Volvo B7TL’s W404 / 408 / 435WGH PN02XBO / PJ02RCF / PJ53SRU / LX05EZE Darts LX06EYT / EYW / FBB / FBE / FAA / FAF. From WB Chambers : Darts T461HNH / R747FGX. From Yellow Buses Bournemouth : Volvo B7RLE’s YN08NKH / NLG / NLJ. From Hedingham : Trident W829NNJ. From Johns School of Motoring : Dart KM51BFX. From Bear Buses : Volvo B7L SA52DVT. Volvo B7L SA52DVT : Cambridge Coach Services. Volvo B7TL’s LF55CZA / BX55XML : Country Lion, Northampton. Scania’s YN53RYV / RZF : Hornsbys, Sc**thorpe, Lincs. E200 OU08AYF Volvo B7TLs LX06DZJ / DZK : Moffat and Williamson, Glenrothes. Volvo B7TL’s LX06DZB / DYY : Selwyns, Runcorn. Scania YN07EYZ : Sleafordian Coaches, Sleaford, Lincs. Volvo B7RLE’s YN08NKH / NLG / NLJ : Tyrers Coaches, Adlington, Lancs. Volvo B7TL LK04HXD : Bromley Bus Preservation Group. Scania YM55SXE : Aintree Coaches. Dart LX06EYT : Red Route Buses, Northfleet, Kent. Dart SN03WMP A2B buses, Cambridge. E400s SN11BNX / BNV : Sullivan Buses, South Mimms. Scania HF08UHT : Bruen Coaches, Dublin. Volvo B7TL Y192NLK : Ruxley Nursery, Sidcup, Kent. Volvo B7TL LX06DZA : United Borders, Harlesden. Volvo B7TL LF52ZNJ : Brandcruiser Ltd, Glasgow. Darts Y331FJN / R747FGX / KM51BFX / AE06HCG .